An endearing gift for christening. Childhood Memories introduces this train moneybox and tooth and curl keepsake box. 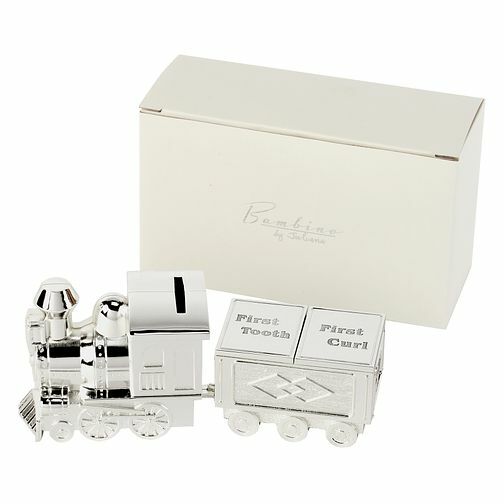 Childhood Memories Train Money & Tooth & Curl Box Gift Set is rated 3.3 out of 5 by 3. Rated 2 out of 5 by Anonymous from Doesn't come with blue box Lovely item but annoyed as it says it comes with a blue presentation box when in actual fact it's just a cheap white cardboard box! Had I have known this I would've bought a separate presentation box but now it's too late!